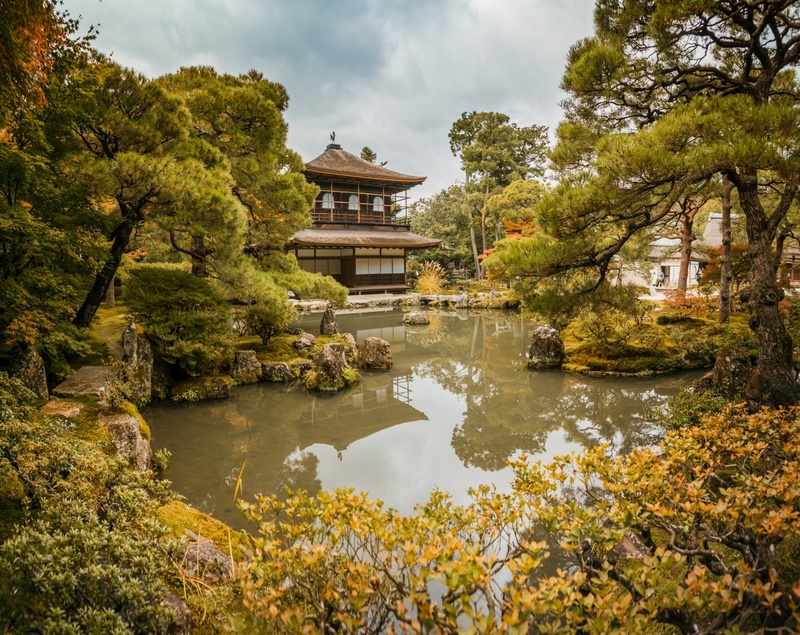 Nothing is perfect… except some gardens of Kyoto. Most of them have been forged from scratch and slowly formed into the masterpieces they are. This particular photo is taken from Ginkaku-ji which can be translated into “Temple of the Silver Pavilion”. The building of Ginkaku-ji began in 1480 and was basically a lifelong project of a single man. Ginkaku-ji was my favourite of all the temples and gardens in Kyoto. Many of them were really pleasant to eye but this one was something magical. Especially in autumn colors. Tip: When you go to see the temples in Kyoto do not try to visit too many just in one day. 2-3 is definitely enough. Some of them are surprisingly complex and have many angles to look at things. Ponds especially. Take noise changeling headphones, hit play and enjoy the Zen vibes.